ST.PETERSBURG, July 4 (Itar-Tass) - The Russian arms export/import agency Rosoboronexport has been promoting its non-nuclear submarine, the Amur 1650, on world markets. It intends to offer the submarine to Morocco if the tenders are held there, Rosoboronexport Deputy chief Viktor Komardin declared at an international naval show on Thursday. 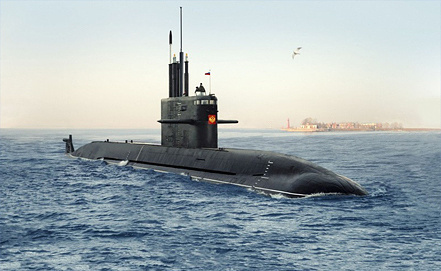 If Morocco announces the tenders for a submarine we will take part and offer the Amur 1650, Komardin said. Rosoboronexport intends to develop military cooperation with Morocco, Komardin said. He stressed the significance of an agreement on international economic cooperation that Russia had recently signed with Morocco. Recently, Russia has delivered to Morocco a batch of Msta-S self-propelled howitzers, he said. Morocco is showing an active interest in weapons for air defense and ground troops, Komardin said. It is for Morocco to make a choice now, he added. Komardin highly appreciates the level of professional training of Morocco's officers who have recently attended a presentation show of Russian-made weapons. The Amur 1650 submarine was designed by the Rubin Naval Design Bureau based in St.Petersburg which belongs to the United Shipbuilding Corporation. The maximum diving range of the submarine is 300 meters. The submarine is capable to carry 18 missiles, torpedoes or mines. Earlier, a number of media outlets said that Morocco intended to buy its first submarine. Russia and Germany were mentioned as possible exporters.